David Tubb is happy to release "TUBBDUST"
I started using TUBBDUST in 2015. Most of my testing was done with the 6XC cartridge shooting 115gr DTAC bullets at 3150 fps to 3225 fps. High pressure and velocity equate to copper fouling appearing toward the muzzle and the 6XC when fired at these velocities would have some copper streaks. In 2016, I enlisted several other shooters/reloaders whom I had interaction with to begin a Beta test using TUBBDUST in the reloading process with their favorite calibers. I would send them enough Tubb DUST to do about 4 lbs (48 gr) so if I changed my blending ratio (which I did) then I could follow up with the new testing mix for them to use. These individuals typically went through 2-4 lbs of powder every couple of months. At that point in time if I had not sent them a different TUBBDUST formulation they would call to request a refill and I could then ask/listen to their results and thoughts. IMO - It was an encouraging testimonial to the effectiveness of the TUBBDUST when more than one BETA user ran out of their treated powder early and would NOT load their ammunition until receiving their next shipment of TUBBDUST to treat their powder. This product really shines in 22/6mm/6.5/7mm diameters barrels as well as larger bores shooting solid turned bullets. 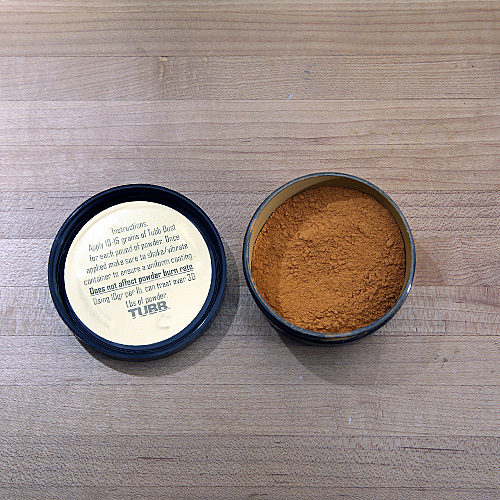 Your TUBBDUST container contains 330 grains which will treat over 30 lbs of powder. 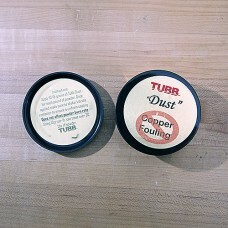 Instructions are simple; if you are using 1 lb containers then put 10-12 grains of Tubb DUST into your powder bottle and shake for a couple of minutes. 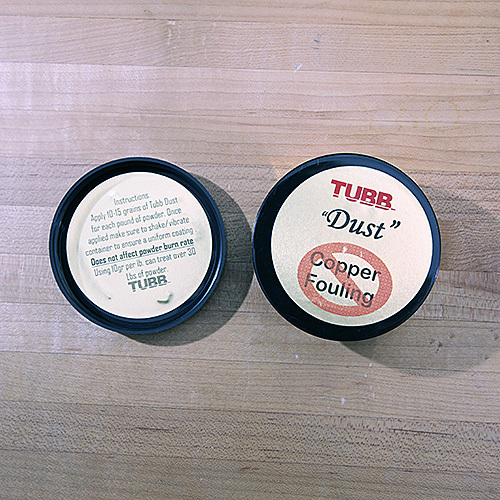 When applying TUBBDUST to larger quantities (8lbs) it is recommended to use a vibratory tumbler using 10-12 grains per 1 lb of powder. Allow the tumbler to run for at least 10 minutes and stir occasionally. When the rifle is fired, the copper wash associated with the bullet reaching its maximum velocity toward the end of your muzzle will become nonexistent. you will soon find that the need to regularly clean the barrel of copper fouling will become a thing of the past.